This entry was posted in Movies, NY, Toys, Wordless Wednesday and tagged jurassic park, toy fair preview 2015, universal studios by jessica. Bookmark the permalink. 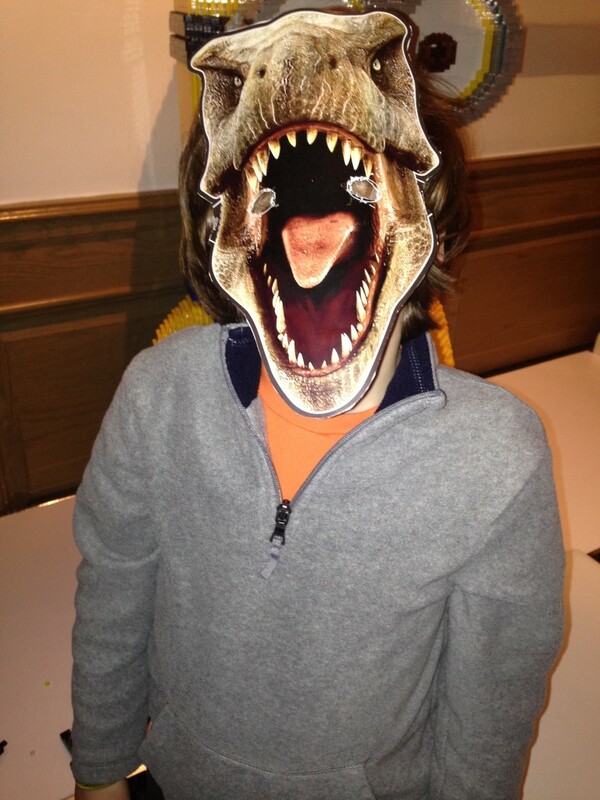 kids always love Jurassic park..including mine :)…fun mask :)..happy WW..
Oh no! Run! They are turning our children into dinosaur mutants! Thanks for stopping by and sharing over on Tots and Me. It’s been a while since I have been able to really participate in WW and I have missed it. That is awesome! Loved that movie, too, by the way.